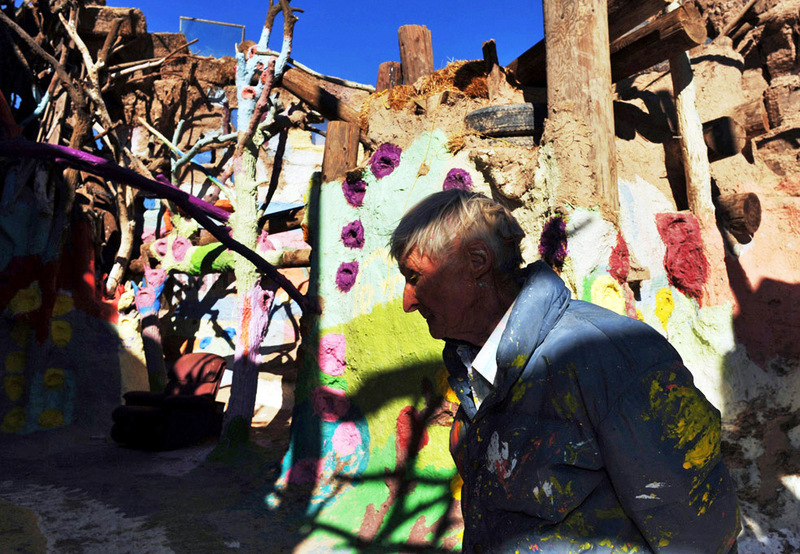 Leonard Knight,79, self-claimed messenger from God and proprietor of Salvation Mountain in Slab City, Niland, 2 miles southeast of the Salton Sea. It is an epic colorful art installation which conveys the message that "God Loves Everyone." Leonard Knight gives a quick tour to visitors as many as 50 people a day. He has been living in the desert without gas,electricity and running water since 1984. In 2002, Salvation Mountain was placed under protection when California Senator Barbara Boxer entered it into the Congressional Record as a national treasure.